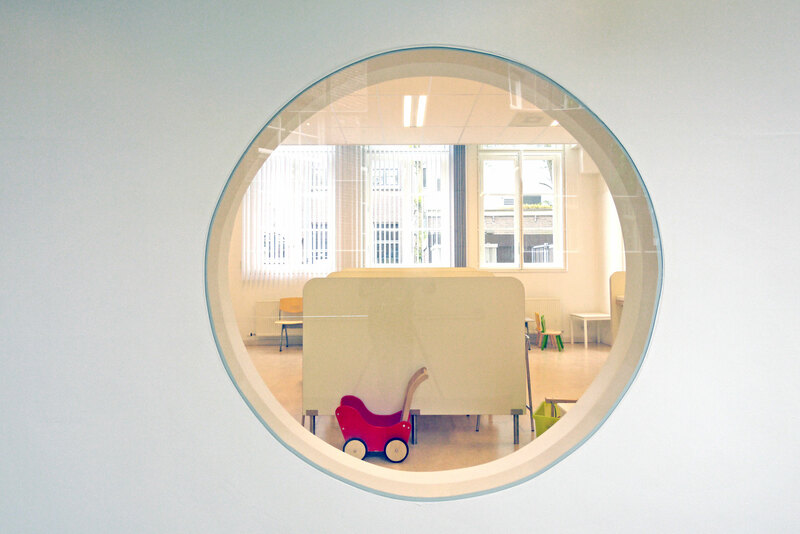 In 2014 TEKTON completed a revitalization of the new Parents – Child Centre in the East District of Amsterdam. The OKC Pontanusstraat is a new municipal center for family health, education and wellness (OKC-centrum). The old school building has been adapted to create a facility that encourages parents to get involved in the health and education of their children, and to become active participants in the experience. The care provided by the center has been expanded in order to provide care for older age brackets to accommodate an increasing need for longer term family care. The Center plays a pivotal role in improving the lives of families in the community by fulfilling the need for essential health and educational services. The previous institution was inadequate at meeting the growing demand for family services for all ages. OKC has developed strong partnerships with Gemeentelijke Gezondheids Dienst (GGD), Opvoeden & Opgroeien (O&O) and the Munnicipality of the East-District, as well as providing space for the team Samen Doen and the Parent and Child team of the former Old-East. 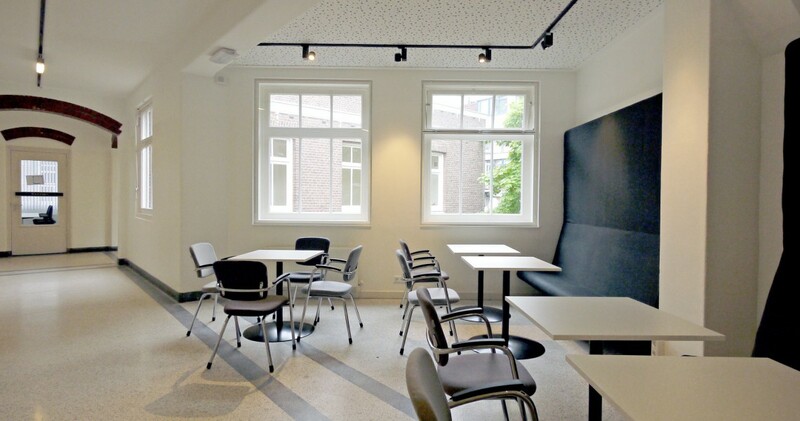 The Pontanusstraat also provides practice spaces for many private companies, which includes Physiotherapy Oosterparkbuurt, Fit Food, Logopediepraktijk East and NSDSK (care for young children with hearing speech or language restrictions), further improving the services that the building can offer. The goal of the project was to restore and enhance the original characteristics of the building. 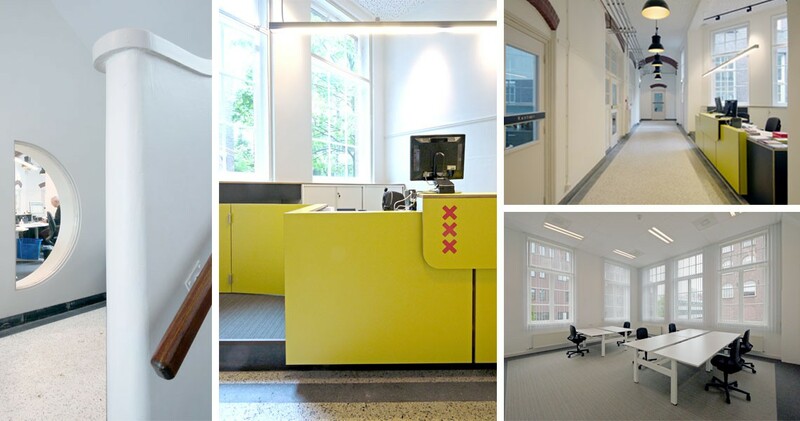 The original granito-floors were revived, and their colour pallet was used to influence the theme for the interior of the building. Portions of the interior spaces were reserved for private companies, which can enhance the services of the center, and create a mutually beneficial opportunity between the municipality and commercial companies. 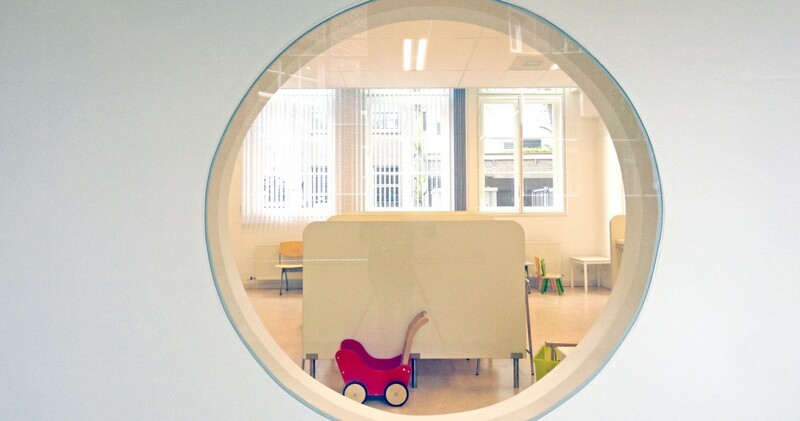 The Building is a monument in Amsterdam, serving as the first freestanding kindergarten in Amsterdam. 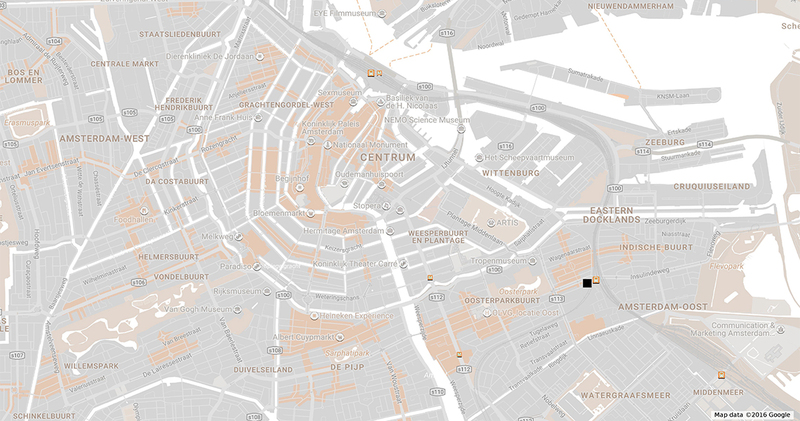 It was originally commissioned by the Department of Public Works in 1911, on the corner of Pontanusstraat and Domselaerstraat in Amsterdam Oost. 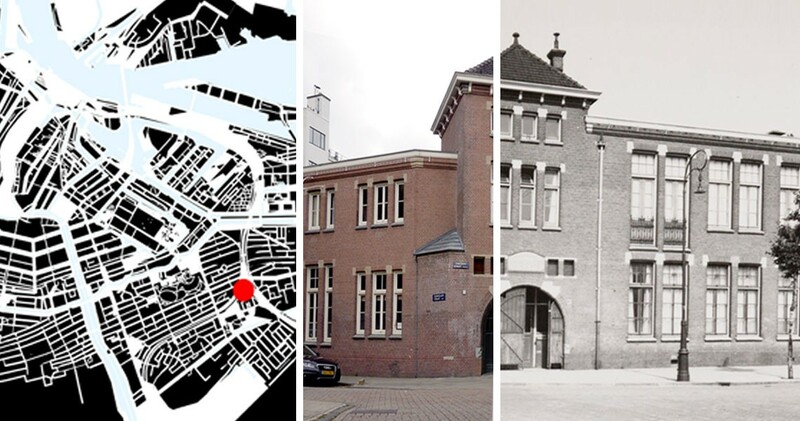 The atypical orientation of the Pontanusstraat was influenced by the intersection of railways, constructed in the late 19th century, which was converted in Muiderpoort Station in the 1930’s. The building has two floors and a flat roof, with the exception of the entrance area, which is three stories high and covered with a tent roof. The original classrooms had heights of 4.8 m, while the remaining spaces in the building were 3.1 m. The alternating heights resulted in a division of the building’s volume, which is evident in the facade. There were a verity of upgrades implemented in order to reduce the energy consumption and comfort of the building. Additional wall, roof, and window insulation was installed. High efficiency lighting and a balance ventilation system, with a heat recovery unit, were also installed in order to improve the overall efficiency of the building. The energy label of the building has been improved from G to C, with the possibility of future improvements by adapting the mosque in the building, which is operating currently. Many employees work part-time and / or at other locations, therefor the majority of the workspaces are designed to be flexible. In addition to two larger flexible office spaces on the first floor, there will also be space to accommodate informal collaborative work and meetings. 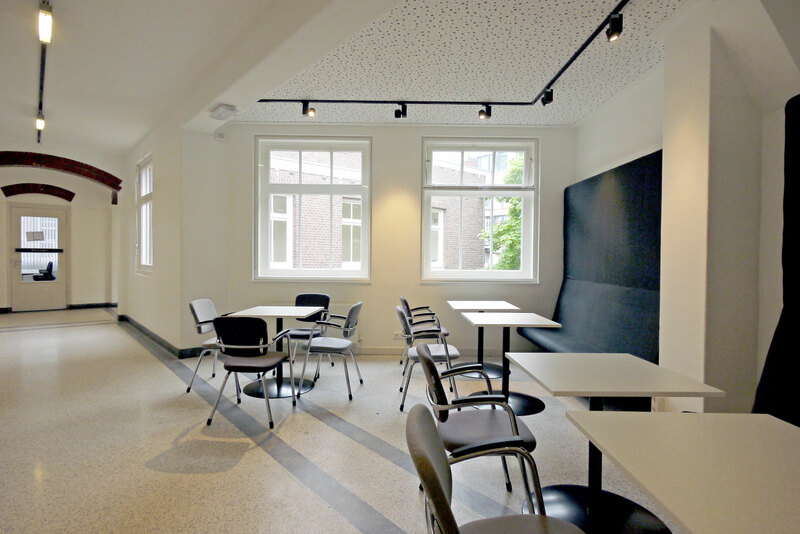 Several spaces serve multiple purposes, such as the school and staff rooms. 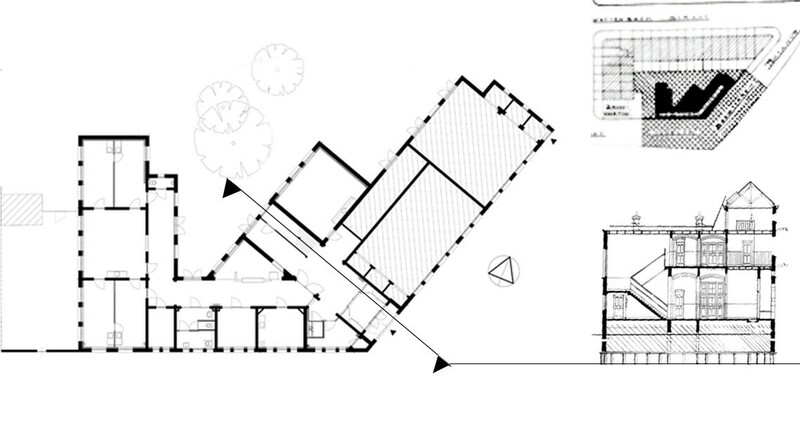 The kitchen is also a shared space, intended to encourage interaction between the many inhabitants of the building. Our aim was to provide spaces that are bright and open. We created visual connections in the building in order to bridge the disconnect between spaces and develop public areas for interaction within the building. The project presented many challenges, primarily the restricted budget and the need to preserve the original elements of the building, due to its status as a monumental building. We maintained the existing elements of the building, while simultaneously restoring characteristics of the building that had been altered over time.